User-Generated Content Campaigns were definitely a hit on Instagram and the past 2018 year was highly fertile for this type of business. 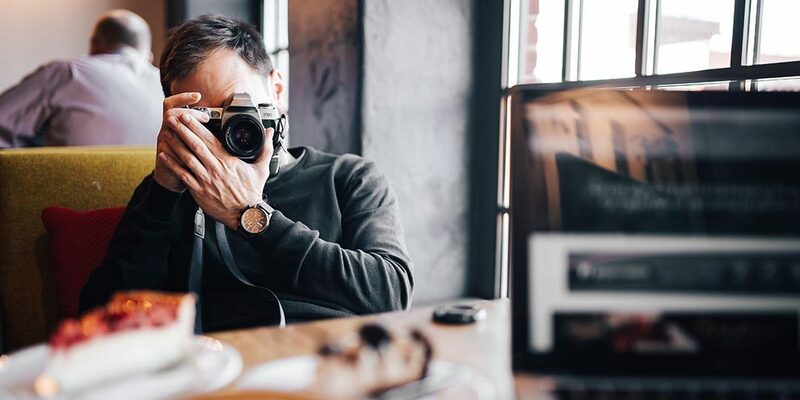 Actually, as statistics show, over 75% of people agree that User-Generated content makes any content posted more authentic, while over 40% of marketing professionals consider UGC invaluable. If you run an Instagram business yourself, most probably you have already got assured yourself how beneficial UGC can appear for your business! However, to get inspiration for this year, right here at InstaBF’s blog, we are going to review some fantastic 2018 UGC campaigns standing out from the rest! Copa90 showed one of the most succeeded UGC campaigns of the past year. They used Snapchat shots of their fans in different languages from around the world and posted them on their social network page. This way they showed the World Cup from the fans’ perspective and gained over 31 million views in only 45 days! Netflix has used UGC for quite a long time. But one of their UGC mega-campaigns devoted to the launch of the new season of Stranger Things brought them fabulous results! They re-grammed posts from influencers and fans, thus gaining as many as 125K new followers in just a fortnight! The partnership between the hit TV show and Wayin company was especially resultful. They captured reactions of people to the participants of the show when they made their performances and the judges’ decisions, then posted them right during the live show under the hashtag #KindComments. The campaign went on during the all 8 episodes. This company has tremendous popularity which was increased due to their #WhiteCupContest. The brand’s fans were asked to create their own designs on their cups and the most amazing pattern would become the basis of the upcoming limited editions of Starbucks cups rolled out in the company’s shops. During the whole three weeks that the UGC campaign lasted, the brand got over 4,000 entries! Who wouldn’t agree to share photos of themselves wearing only underwear? Well, the question missed a significant point that makes it sensible from fatuous – … wearing only underwear by Calvin Klein?! The brand organized a UGC marketing campaign that might not seem prospective from the first sight, yet, as it turned out, the campaign was a real hit on Instagram! It was a huge success and people kept on sharing their photos with underwear and Calvin Klein kept on posting them! Perhaps the participation in the campaign of such celebrities as the Kardashians played a big role, who knows! Apple is among those unique brands which know well the worth of UGC. Last year they organized a campaign #ShotOnIphone. The latter was aimed at encouraging Apple consumers to share images taken with their iPhones. The purpose of this campaign was to highlight the quality of the company’s cameras, and people were more than glad to participate in it. In the end, Apple chose the most succeeded shares and posted them on their official Instagram account!